“Investing vs. Saving – Why the 401k Fiduciary Must Emphasize Only One,” (FiduciaryNews.com, February 3, 2015) On the Road to Success, discovering the critical steps is often more important than the length of your stride. “Retirement bills would allow higher matches,” (BenefitsPro, January 30, 2015) Again with the talk of MEP 401k plans. Let’s see if this is just talk or the real thing. The good news is that there is clear bipartisan agreement on these measures, so it’ll probably happen. “Obama Would Block Strategies to Pump Up Roth IRAs,” (Wall Street Journal, February 2, 2015) Oh! And just as the middle class was started to copy the upper class in doing this. “Obama budget proposes retirement savings cap,” (BenefitsPro, February 2, 2015) This is amazing. Between the above article and the one further down about 401k millionaires, you’ve got to wonder if the White House is even trying. It’s getting to the point where they’re sounding like the proverbial spoiled brat who doesn’t get his way. Or maybe it’s just because they’re from a different planet. “Re-introduced Retirement Security Act could boost 401k deferrals,” (Employee Benefit Adviser, February 3, 2015) Another overview of the bipartisan agreement. “Stay compliant on 401k hardship withdrawals,” (BenefitsPro, February 3, 2015) Sometimes the words used come to frame the debate. “Leakage” has always been a tarnished term, suggesting something approaching underhandedness, but not quite there. Here’s the problem: One employee’s “leakage” is another employee’s mortgage payment – at least that’s what we learned as a result of the current economic downturn. 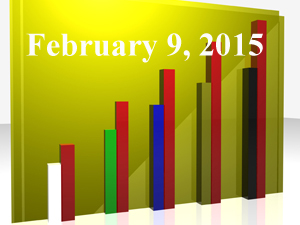 “Corporate pensions suffer sharp declines,” (BenefitsPro, February 4, 2015) The only question is how big a decline. It’s only a matter of time before the last of these dinosaurs walk the earth. “New Best Practices Aim to Codify Advisors Fiduciary Duty,” (On Wall Street, January 30, 2015) Will this take the enforcement of SEC regulators out of the hands of the government and into the hands of trial attorneys? “Institute for Fiduciary Standard draws SIFMA fire for best practices plan,” (InvestmentNews, January 30, 2015) Wow. That was fast. Wasn’t it? Sometimes the merits of a new idea can be found in the nature of the enemies of that new idea. Knut Rostad’s “made in Washington” comment is a classic. “Side-Stepping SEC and DOL, 11 Fiduciary Best Practices for Advisors Are Proposed,” (ThinkAdviser, January 30, 2015) More on the story with more of an insider’s point of view. “Wall Street Gears Up As White House Pushes Retirement-Fund Rules,” (Financial Advisor, February 2, 2015) This is probably the best news for the White House, because if there any group more despised than the White House (and politicians in general) at this point, it’s Wall Street. Now, if Main Street comes out in support of the White House on this issue, look out Wall Street. “The Institute’s Fiduciary Best Practices: What’s Missing?” (ThinkAdvisor, February 3, 2015) Bob Clark poses the question of whether brokers must be independent from their firms to be deemed “fiduciaries.” It seems a moot question because a fiduciary should not be placing clients into a product they or their company is compensated by. How hard is this to understand? “Chamber of Commerce Raises Concerns With DOL Fiduciary Redraft,” (ThinkAdvisor, February, 5, 2015) Really? The Chamber of Commerce? Is there’s nothing that don’t know? “DOL fiduciary rule stalls again as brokerage industry makes last-minute push against it,” (InvestmentNews, February 6, 2015) Death by a thousand needles. “Raymond James FAs to Refund Some Fees to Retirement Plans, Charity Trusts,” (ThinkAdvisor, February 4, 2015) This comes out a day after the Raymond James CEO urges brokers to fight the fiduciary standard. Ain’t Karma a b―. “Raymond James Seeks Fee Clawbacks on Mutual Fund Sales,” (WealthManagement, February 4, 2015) Could it be this story is bigger than we thought? “Obama’s retirement cap might sound good but it has an annuity problem,” (InvestmentNews, February 2, 2015) This is only one of the many “problems” with buying long-term products that rely on favorable tax treatment. “Longevity Annuities: Their Time Has Come,” (ThinkAdviser, February 2, 2015) It looks good on the black board. Only time will tell if it works in the real world. “Why adding energy stocks to your retirement fund may be a smart move,” (CBS News, February 2, 2015) Because what goes up must come down – and vice-versa. “How retirement plans vastly underestimate inflation,” (MarketWatch, February 3, 2015) Well, maybe the importance of this is a tad overestimated. “How many funds is too many for your retirement portfolio?” (CNN, February 3, 2015) It we’ve said this once we’ve said this a million times. This is an artifact of the failed investment-based plan design. The consequences are not pretty. “Why 401k investment choices don’t matter anymore,” (BenefitsPro, February 4, 2015) On the growing importance of behavioral-based plan design and how investment menus are adapting to this. “Are in-plan retirement products the solution to retirement readiness concerns?” (Employee Benefit Adviser, February 4, 2015) At least they’re honest enough to call them “products” and not “investments.” Portfolio managers invest assets. Salesmen sell products. Which would you rather have overseeing your retirement nest egg? “SEC commissioner pushes for TDF warnings,” (BenefitsPro, February 5, 2015) These have always been a nagging problem, but not for all the reasons he states here. In fact, some of his suggestions might compound the problem.